PS Store Lunar New Year Sale will be launched from 31st January to 13th February 2019. During the campaign period, customers may enjoy up to 80% discount on selected PS4™ titles! PS Plus members can enjoy extra discount on some of the titles. Selected titles include best sellers such as: “God of War™ III Remastered” (80% off, extra 10% off for PS Plus members), “Assassin’s Creed The Ezio Collection” (80% off), and “PLAYERUNKNOWN’S BATTLEGROUNDS” (30% off). A PS Plus 12-Month Membership + 3-Month bonus offer will be launched exclusively on the PlayStation®Store from 31st January to 13th February 2019. Become a PS Plus member to enjoy online multiplayer with fellow players and more privileges, including free games, exclusive discounts, and priority access to special events! February free games will be available for members to download from 7th February to 6th March 2019 and the line-up includes: For Honor (PS4), HITMAN™ – THE COMPLETE FIRST SEASON (PS4), Hand of Fate (PS4), TORO PS4 Feb Theme (PS4), and “KINGDOM HEARTS III” Avatars (PS4). A “PS Plus Lunar New Year Contest” will be launched on the PlayStation® Asia Official Facebook page (@PlayStation Asia) on 31st January 2019. Campaign posts will be posted at 12pm and members just need to follow the simple steps in the post to win a prize. Over 160 prizes including a PlayStation®4, PlayStation®VR, Wireless Headset-3D Surround Audio and PSN money vouchers will be given to PS Plus members. 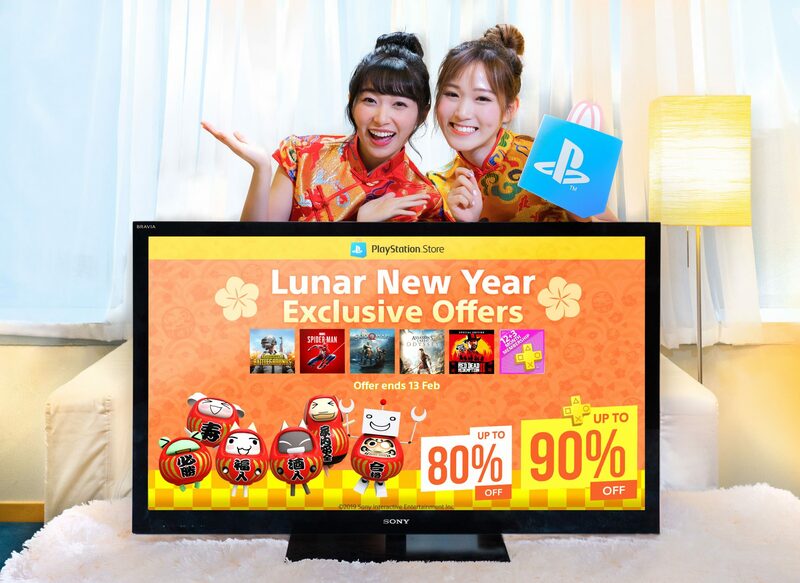 All participants will be entitled to receive a code for the “PlayStation®4 Toro Lunar New Year Theme”.